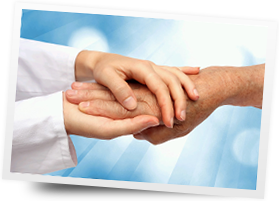 Care IV Home Health has been providing a wide variety of home care and home health services in Arkansas since 1993. Our clients enjoy a balance of assistance and independence that we at Care IV Home Health take pride in providing while continuing to meet our clients’ high expectations for personal, dependable service. Highly skilled, qualified and reliable staff make the difference in our care. Employees must pass a competency exam, background checks, drug screen, provide professional references and have their licensure verified. We provide worker’s compensation, professional liability and all employment related requirements for our employees so our clients can be assured they are being served safely and professionally. Every case is supervised by a Registered Nurse. Care IV is Medicare and Medicaid certified and licensed by the Arkansas State Department of Health. Serving home health care needs throughout Arkansas with offices in Little Rock, Fayetteville, Hot Springs, Russellville and growing. You can see the counties we serve by clicking here. Thank you for visiting with us! "My Nurse is wonderful and very caring"
I'm so glad (patient name withheld) lucked out getting you as his Nurse when he came home from the hospital! Knowing that you're the one coming to see him, makes it easier for me to go back to work. We just wanted to say "thank you" & that we both appreciate your expert care! I just wanted to take a moment to let someone know how much I appreciate the work of Tena. She is always so easy to work with - she is always professional and personable. She is prompt to respond and let us know what can or can't be done.